Thanks for coming everyone! What a great weekend!!! It’s finally here! We’ve started! Tons of demo’s, free coffee, apres party, sweet raffle items, free give aways, slideshows, Randy Rackcliff’s work for sale, and more! Winter is in full force up here with cold temps and snow! There are just a few spots left on Sunday for clinics so don’t wait any longer! Drive safe and come on up! Step Right Up: Demo Time! Are you wanting to try mono-points? Want to go leashless? Aren’t in love with your boots? Want to try some new warm gloves? The IMCS Ice Fest is here for you! But seriously, we have a ton of demo’s that will be available to the public throughout the Ice Fest! You can check out gear Thursday through Sunday from 7:30am-11:00am, and are expected to return gear at the end of the day from 4pm-5:30pm. Check out what gear you’ll be able to try out! 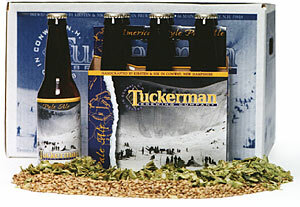 sponsored by Tuckerman Brewing Co. and Mammut. 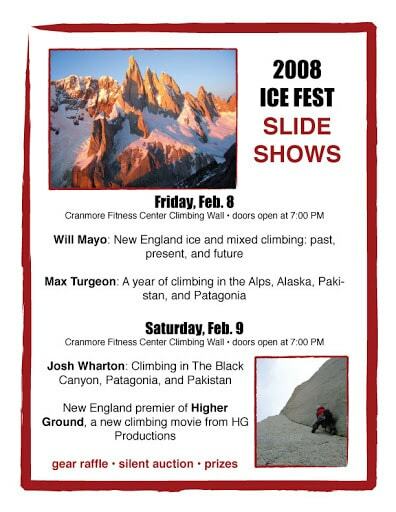 Mingle with fellow ice climbers and mountaineers, chat it up with Ice Fest celebrities like Max Turgeon and Josh Wharton, drink some free beer from Tuckerman, and enjoy the tight-knit climbing community of New England. 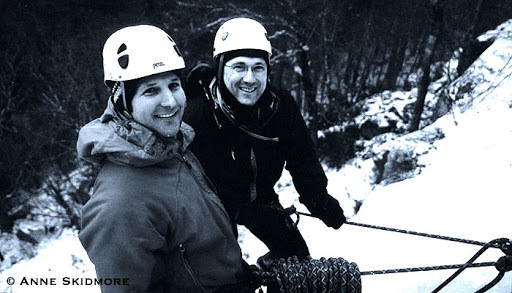 The Après Climb Party is free and open to the public.